Warning: If you haven’t seen Avengers: Infinity War already, spoilers ahead. Avengers: Infinity War released last Friday in theatres globally. In this most recent edition of the Avengers franchise, almost every superhero from the Marvel cinematic universe has come together to take on the villain of the movie, Thanos. The idea that the finite resources of our planet will not be able to sustain our growing population is an old one. British scholar Thomas Malthus had predicted in 1798 that the growing population will outstrip food supply, and can only be checked by disease, famine and war, resulting from a struggle for the control of resources. All such predictions have been proven wrong. Our planet has never supported as many people as it does today. And at the same time, there has never been as much prosperity for as large a number of people as there is now. If I were given a choice to be born at any time in the history with the veil of ignorance, there is no doubt in my mind that I would choose the present day. Not least because of reliable air conditioning. I assume you would too. So, is Thanos wrong in his assumptions and beliefs? Aren’t resources finite and aren’t we running out of them? Yes, resources are finite. But for all his power, Thanos did not know the modern history of the world. He did not know of the greatest of all resources – Humans. Whenever any particular resource has become scarce, it’s communicated to everyone in a civilised way through the price system, as the prices of scarce resources rise. People get the signal that they need to optimise on its use. Some other people also get the signal that it is profitable to look for substitutes for the scarce resource. This is why economist Julian Simon called human beings ‘the ultimate resource’. Human beings alone have the ability and the propensity ‘to truck, barter and exchange’, in the famous words of Adam Smith. They alone can create wealth. And because we can trade, we can focus and specialise in doing what we do best, and exchange for the rest of our needs. The higher the number of people, the higher the degree of specialisation through division of labour, and therefore the higher is the level of prosperity that can be achieved. The only requirements are that people are free to go about their business and that nobody steals from anybody. Thanos believes that there is a simple and direct correlation between poverty and population: the more people there are, the higher the poverty. Not too long ago, this was also the official policy of the Indian government. Forced sterilisation was one of the many excesses of the Emergency years. The simple logic for Thanos and the government is that when there are too many mouths to feed, the share of each shrinks and there is an ‘imbalance’ which needs to be corrected. 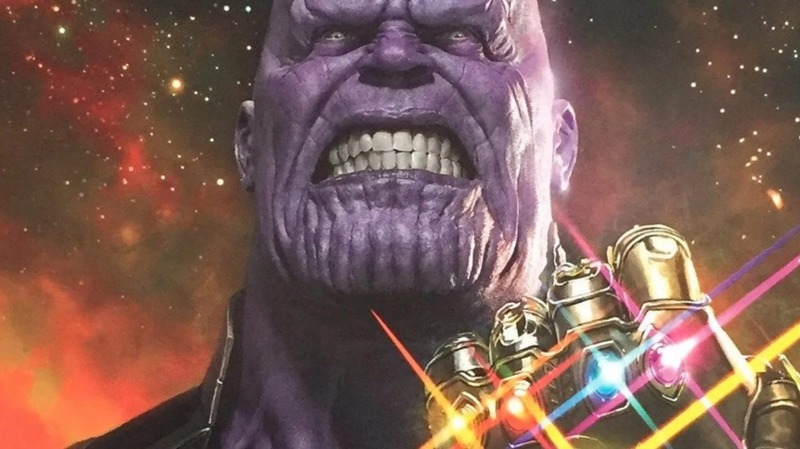 Thanos’ method for restoring this balance is by halving the number of people in the universe by snapping his finger. Thanos may have won round one of the fight against earth’s mightiest heroes. But now that we know what we are up against, I’m sure human ingenuity will overcome the challenge thrown by Thanos in next year’s Avengers. In the meantime, let’s not worry about his ill-found concern for our well-being due to our large numbers. They are the source of our strength, not weakness.